We were all set to receive trick or treaters for the first time at this house. 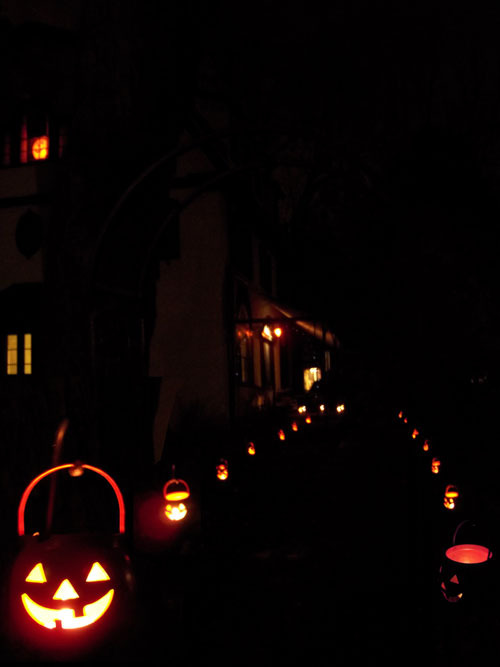 We set up the little hanging light up pumpkins along our pathway. Unfortunately for the poor trick or treaters it was pouring out. Poor soggy little trick or treaters. Aarron wasn't sorry about the leftover candy though.